FORGOTTEN VICTIMS: Iraqi and Syrian Christians protest about the lack of coverage given to their plight in the national media. Why hasn’t the same level of compassion shown six months ago by the media to these groups as much as the current migrant crisis affecting south and central Europe? 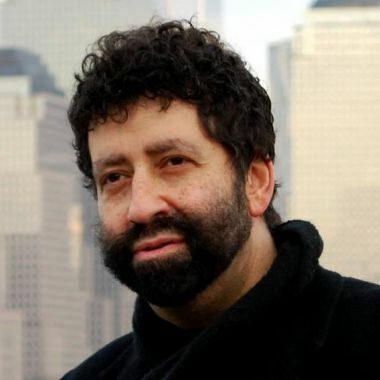 STRANGE SILENCE: Rabbi Jonathan Cahn says the immoral silence over the Middle East Christians is on a par with that shown by the world by the German people and the wider world in the early days of the Holocaust. He was speaking at the United Nations in April 2015. COVERAGE of the refugee crisis has been widespread in recent days and has triggered a huge outpouring of support but why didn’t this happen six months ago for the Middle East Christians? The family of three-year-old Aylan Kurdi embarked on a rickety boat from the Turkey coast to access Greece and seek a better life in Europe, and they were hoping to get to either Germany or Austria. They fled the town of Kobani on the Syrian/Turkish border that had been the subject of bitter fighting between ISIS and the Kurdish PKK. Tragically, little Aylan’s lifeless body was captured in a photograph that has haunted many and gone viral. He lost his brother and his mother as well as his own life when the boat sank. Why did it have to be a Messianic Jew to bring their desperate state to the UN instead of one of the church’s global denominations making a brave decision to assert themselves? Where was the Archbishop of Canterbury, the Rt Rev Justin Welby, for example? The mainstream media went missing went this important address went out and air brushed it out of prominent air time, why? As someone who has previously worked in the media, this is regrettable. 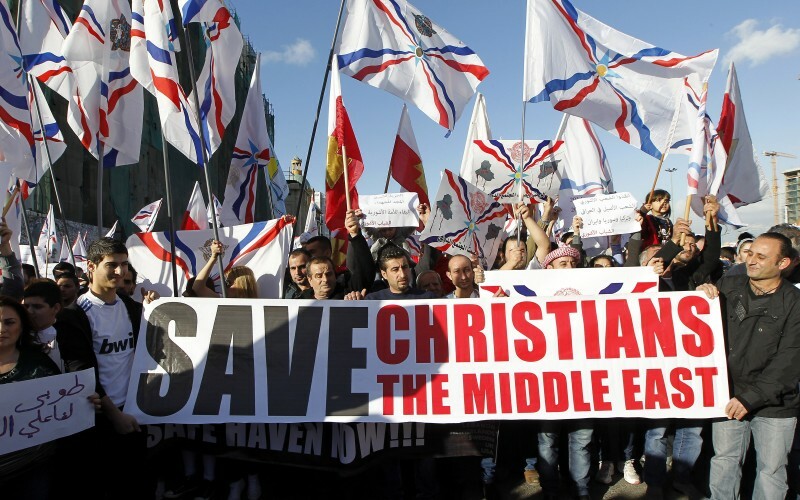 For the record, if anyone reading this thinks I am thinking only of the Middle East Christians, there was a You Tube video showing protests against ISIS not just by Assyrian and Chaldean Christians, but Kurds, Hazidis, Shiite and Sunny Muslims – all Iraqis – and as far as I’m aware it wasn’t referred in the mainstream media. There was a protest outside Parliament in August last year. Also here is a sub-titled address by the Yazidi MP Vian Diakil to the Iraqi Parliament. In his speech, Cahn spoke about how the German people had to come to terms with their complicity in not confronting the death camps that were set up to facilitate the Holocaust, including the mass murder of six million Jewish men, women and children. A similar scruples confronted the citizens of Queens, New York, when 12 neighbours heard the cries for help of businesswoman Susan “Kitty” Genovese but declined to act. 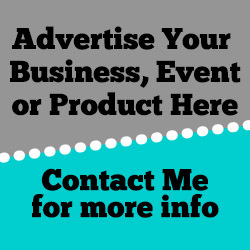 The lack of community response was called the “bystander effect” or the “Genovese syndrome”. She was brutalized over the course of half an hour but the majority of these individuals in this block of flats did nothing to help. If people had known more about this at the time and the mainstream media given it more wider coverage, would there have less of the “Genovese syndrome” on the part of the Middle East Christians? Cahn said: “There is a new genocide involving an innocent people marked for destruction, the followers of Jesus Christ, Christians, who are taught when struck to turn the other cheek; when cursed to bless and when persecuted to forgive those who then oppress them. It is these by far who constitute the most persecuted religious group on earth. “Within in the borders of 60 of those nations, Christians are being persecuted by their own government or by those who in whose midst they live from North Korea, Iran, Afghanistan, Syria, Iraq, Nigeria, Pakistan, Vietnam, Indonesia and many more. “In Syria 80,000 Christians have been cleansed from their homes, and now after almost 2,000 years some of the most ancient Christian communities from the Copts of Egypt to the Assyrian and Chaldean believers of Iraq and Syria are in danger of extermination. Cahn went to say if officials at the UN had been alive at the time of Christians being led into arenas to be eaten by wild beasts, and would they have intervened to save them or be “bystanders”. He also highlighted about the Universal Declaration of Human Rights that everyone has the right to manifest their religion, teaching, practice, worship and observance. He said: “In the document of December 2005 paragraph 139 the UN declared that the international community has the responsibility to protect populations from genocide, ethnic cleansing and crimes against humanity. So, where are all the resolutions, where are all the troops, where are all the actions to protect the most persecuted people on earth? Cahn also talked about how miners took down a caged canary down a mine to ascertain how toxic the air was. “If we don’t deal with that toxic evil, and it targets others on distant shores, we will surely deal with it when it targets us on our own shores. No people can call themselves Christian as they watch passively on the sidelines as those who they share their name with Messiah and killed and oppressed for their faith. “On that day, he will say when my village was burnt down in Nigeria, why did you do nothing to help me? When I was in prison in a labour camp in North Korea, why did you forget me? When ISIS came to kill my family, why did you not help us? “When I was tortured, when I was beheaded, when I was buried alive, when I was crucified why did you ignore my cries for help? “Why did you let me perish, he will say ‘depart from me, I never knew you’. When that day comes, let It not be said of us that we heard the cries of God but nothing to help them. Well written, Matt, you are quite right. Thank you, Matt, for writing this post. Its a shame that USA and Europe won’t help the innocent Christians, but giving a hand to the Muslims, which by the way, their own gulf states won’t take in. It’s there if you look in the right place.Al Jazeera and Russia Today have both aired reports on the plight of Middle East Christians.So have EWTN.